If you have just started a business that is either services oriented or one that entails selling products and you are yet to decide on the marketing activity to do, you might have to consider organizing a product party. A product party is a fun and creative way to market your product or services at minimal cost. The beauty of product parties is that you need not spend so much money and you can determine on the structure that suits you the most. 1. In organizing a product party, you do not have to be elaborate. Start by going through your contact list and determine who should find the product valuable and who would be willing to pay for the product or service. You can make the guest list small – in our case, we chose thirty-five guests from our contact list. 2. Now that you have determined who to invite, don’t just send out the invites yet! Determine where you would like to host the party. If you’ve got a comfortable home, then it is your best venue. Remember you are trying to keep cost minimal so renting a public venue might not really help. You could even get a friend to give you his/her livingroom for the party. Compensate this great friend with a nice gift pack of product samples. 3. Determine the party theme. If you create an exciting and creative party theme, it will help to stimulate enthusiasm from friends. 4. Determine what to entertain with. It is good to keep entertainment minimal too – you can serve party punches, drinks and party snacks. If you keep the duration of the party short like say two to three hours, your guests will not go hungry on you. You can even save money by making some of the snacks yourself. Go to http://www.cooks.com/ for useful party snacks recipes that you can make yourself. 5. It is useful to send out invitations to your guests at least, two weeks prior to the date of the event. 6. You can create e-invites and mail them to your friends and back it up with SMS. 7. Make sure you have product samples for your guests to try out as it is one quick and effective way to sell your products and you can back it up with free gifts to purchases made as well. 8. Make sure the product party goes according to plan and do remember to design fun activities for your guests. To keep your customers returning, do send them SMS or emails of appreciation and from time to time, update them about new products. 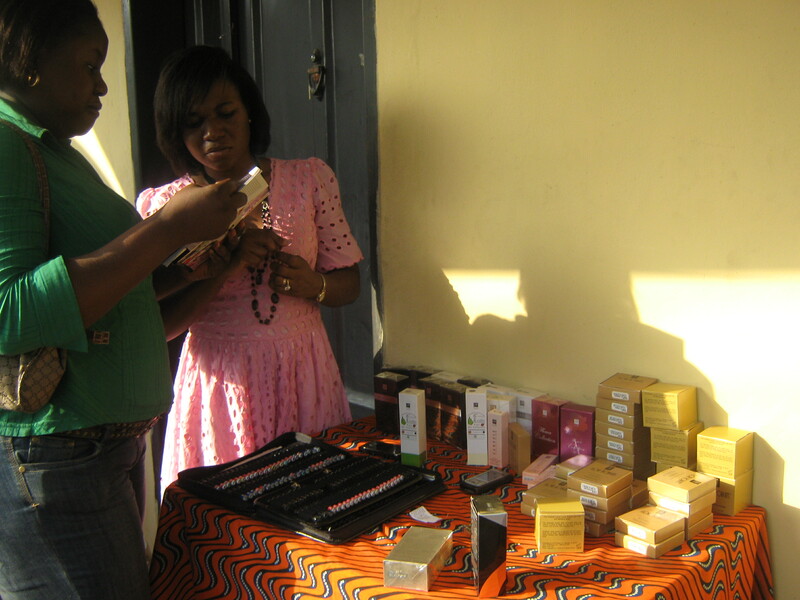 Bronze goddess Nigeria hosted a product party for both its FM Group products and Flori Roberts cosmetics. It was a fun and successful outing.